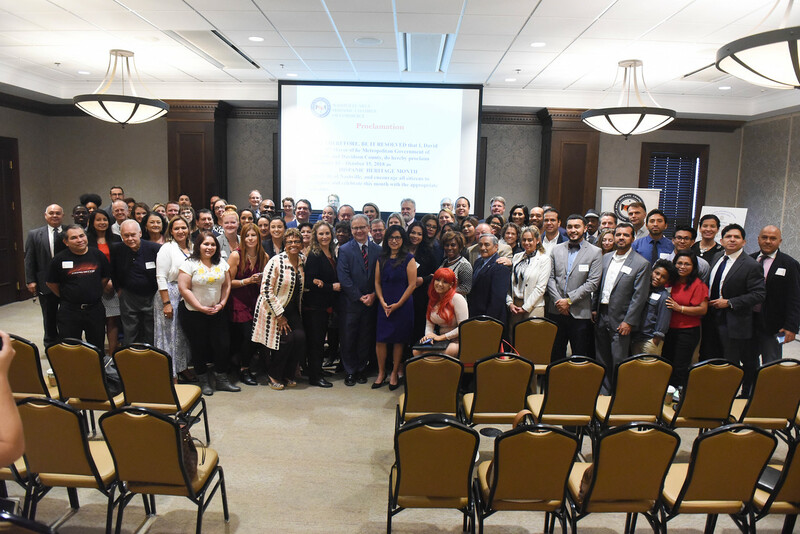 The Nashville Area Hispanic Chamber of Commerce (NAHCC) recently announced the beginning of Hispanic Heritage Month at a kickoff breakfast hosted by Belmont University. The kickoff brought together community members, the NAHCC and Nashville Mayor David Briley to begin the month-long celebration. Hispanic Heritage Month is a celebration lasting from September 15 – October 15 focused on recognizing the professional, civic, cultural and business contributors who are committed to the advancement of the Hispanic community in Nashville. The official kickoff ceremony was held Friday, September 14 at Belmont University, where 120 people were in attendance, and featured remarks from members of the NAHCC. Mayor Briley, a guest speaker, made an official proclamation of Hispanic Heritage Month for the city of Nashville. Following the breakfast, the NAHCC went into detail explaining several of the Hispanic Heritage Month events, and the session concluded with a business round-table. The NAHCC has scheduled events for community members throughout the month-long celebration. To close out the month, the chamber will be hosting their annual Excellence in Community and Business Awards, a recognition of the Hispanic entrepreneurial spirit and its effect on Nashville and the community. Other corporate and community partners are also recognized. Guest speakers, live music, awards and food will all be a part of the event closing out Hispanic Heritage month. More information about the months events can be found here.